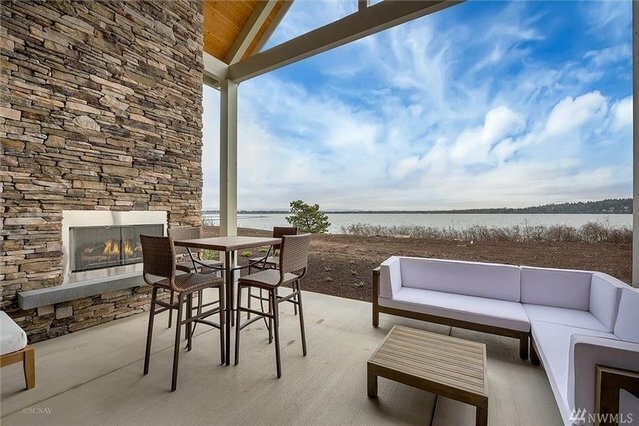 MOUNTAIN VIEW WITH WATERFRONT Newest Semiahmoo Shore waterfront home with soaring vaulted great room design & expansive full width covered patio featuring full height stone fireplace & ample room for shoreline entertaining. All the exceptional design elements you d expect at Semiahmoo Shore with fantastic guest suites on both main & upper floors. All main living on entry level, gated luxury at Semiahmoo spit with incomparable saltwater & mtn. views.